Now that we’ve officially kicked off the shopping season in Winterset with last night’s lighted parade, I’m excited to begin a series of posts I’m calling “12 Days of Shopping Local,” which will feature a variety of local establishments offering gifts for friends and family this holiday season, as well as a few ideas for yourself, in case someone is asking for your list! Some are classic shopping destinations and others off the beaten path. For each, I’ll take you inside to look around and share at least five recommendations from the proprietors, ranging from traditional to very creative. 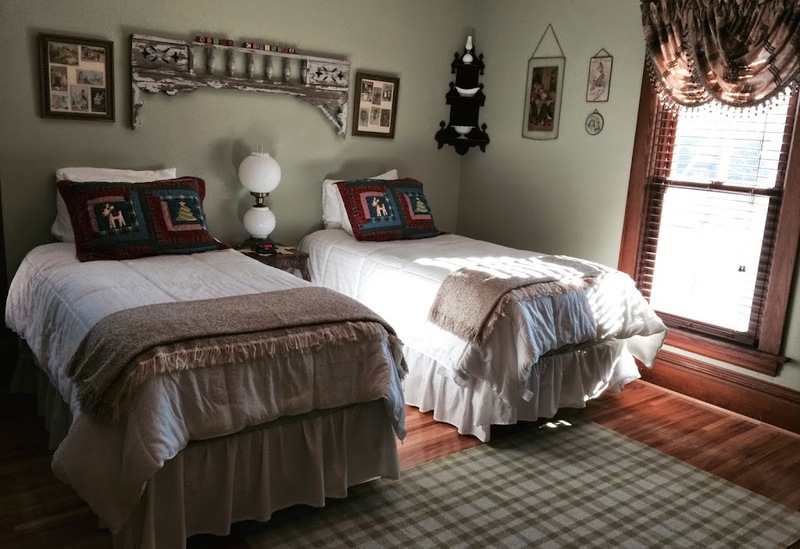 Our first stop is White Lions Bed & Breakfast, at 722 W. Court Avenue, owned by innkeepers Mark and Kayla Hawkins. This might seem like a surprising way to start, since White Lions doesn’t sell goods, but it does have a lot to offer during the holiday season. 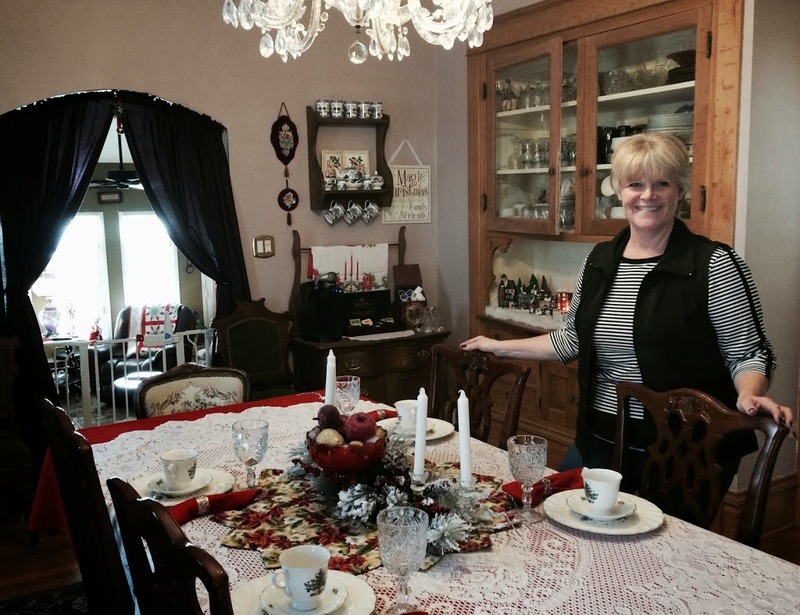 Kayla welcomed me into her beautiful home a few days ago for a full tour, and gave some great suggestions. 2. 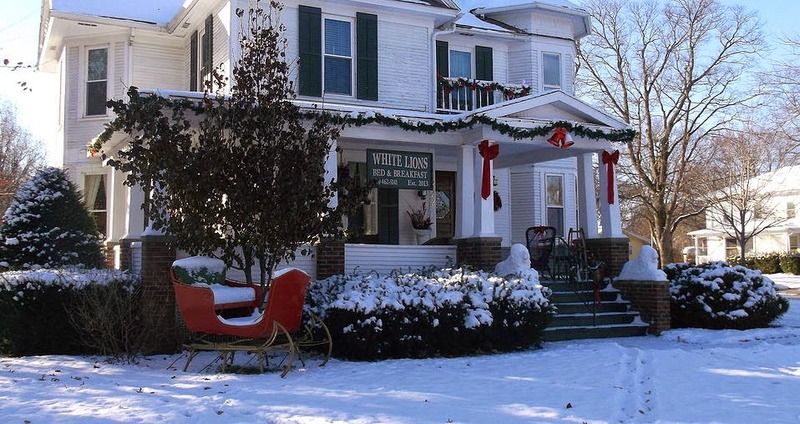 If you have family coming in from out of town for the holidays, consider booking them a room at White Lions. 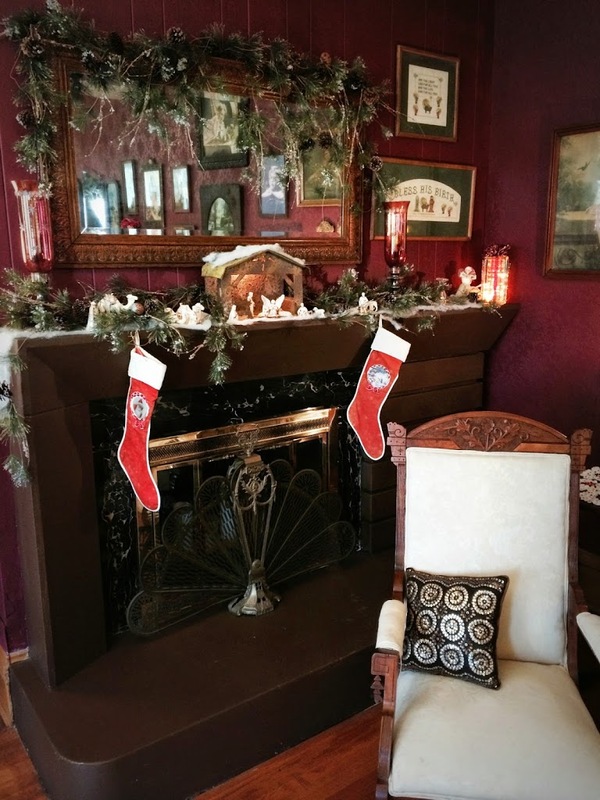 Some dates are already booked, of course, but families find dates to get together all throughout December and January, and maybe there’s an opening for you. (And if it doesn’t work this year, plan ahead for next year!) Not only would this relieve you of some hosting-related stress, but it also gives your guests some time to unwind and a relaxing retreat. It’s easy to find a quiet place to read the paper after a full breakfast. 3. In fact…. 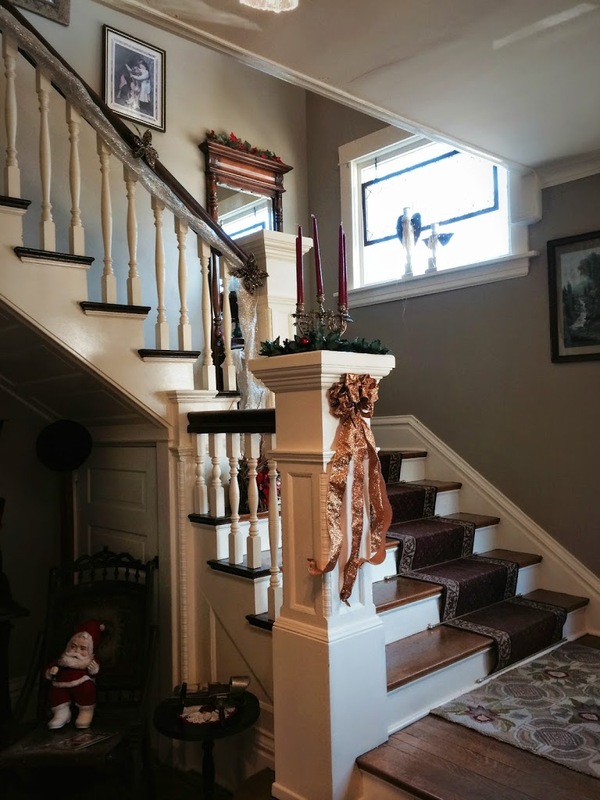 why not let your holiday guests take over your house, and book a room for yourself at White Lions B&B? 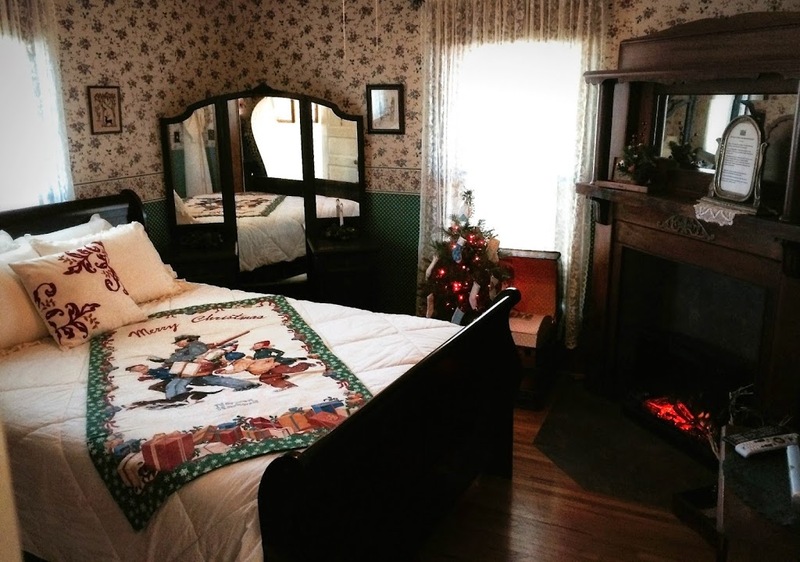 Or, you could invite some friends in from out of town for a girlfriends’ getaway of Christmas shopping in Winterset, followed by an overnight stay. Throw in some Madison County wine, and it’s likely to become a favorite new tradition. Breakfast includes fruit, a pastry, a hot dish such as egg casserole, a breakfast meat (bacon, sausage, or ham), coffee, juice, etc. Kayla describes it as a country breakfast, individualized if there’s just a couple of people, and family style for larger groups. 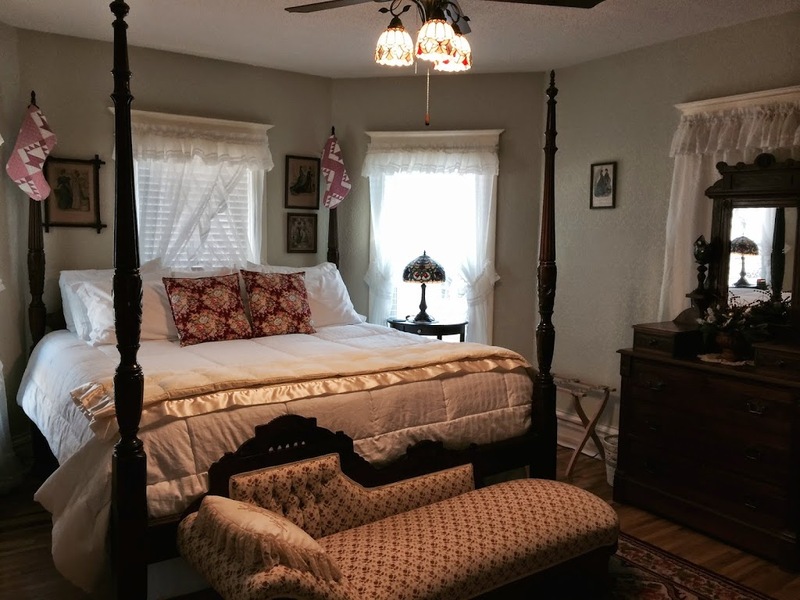 There are four comfortable rooms at White Lions. Two of them form a family suite connected by a bathroom, and the other two rooms share a large bathroom down the hall. 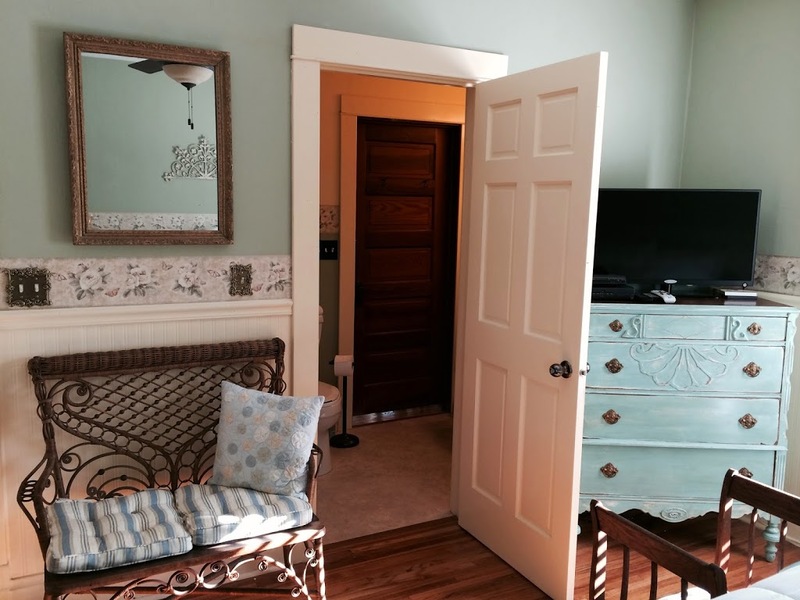 This is one half of the two-room suite. And this is the other half of the suite. This is the most frequently booked room in the inn. 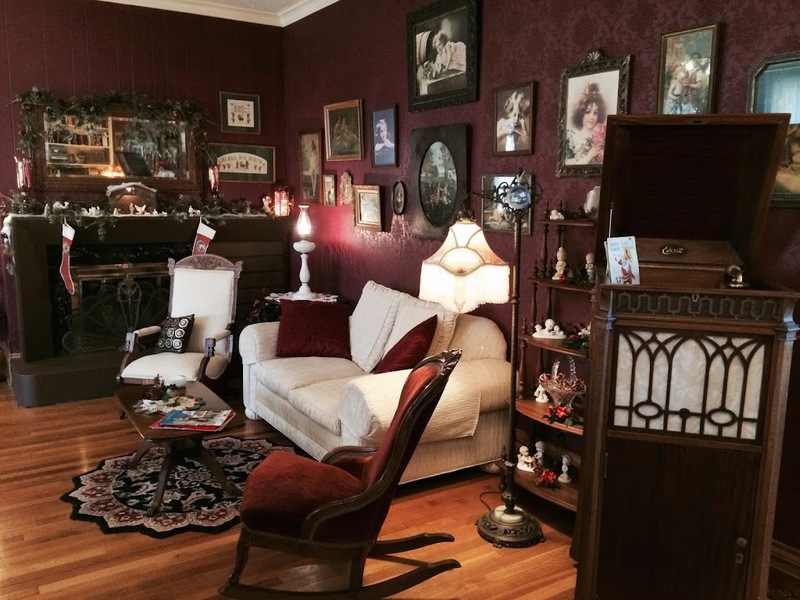 Kayla describes this as an “overflow” room, not used as often, but still gorgeous. 4. 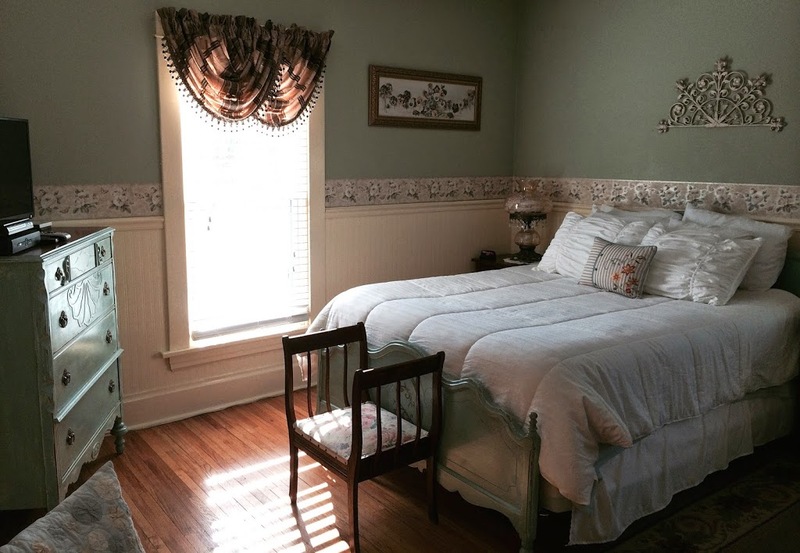 White Lions B&B sells gift certificates, which would make a nice invitation to family or friends to come visit at a future date. 5. 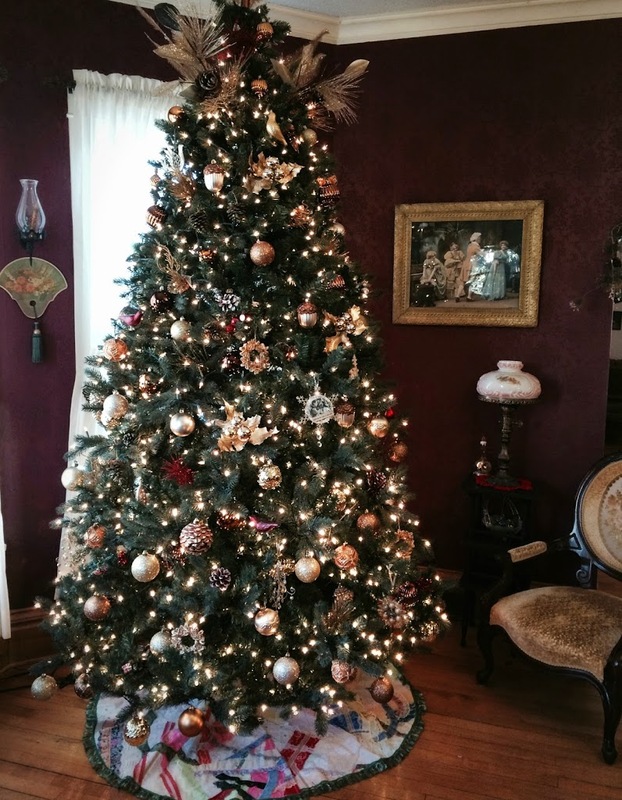 Call to set up a time to host a holiday gathering or “tea” at White Lions for friends, employees, club members, or a winter wedding or baby shower. It makes a lovely setting to mix and mingle, sit down and visit, or walk around and explore. 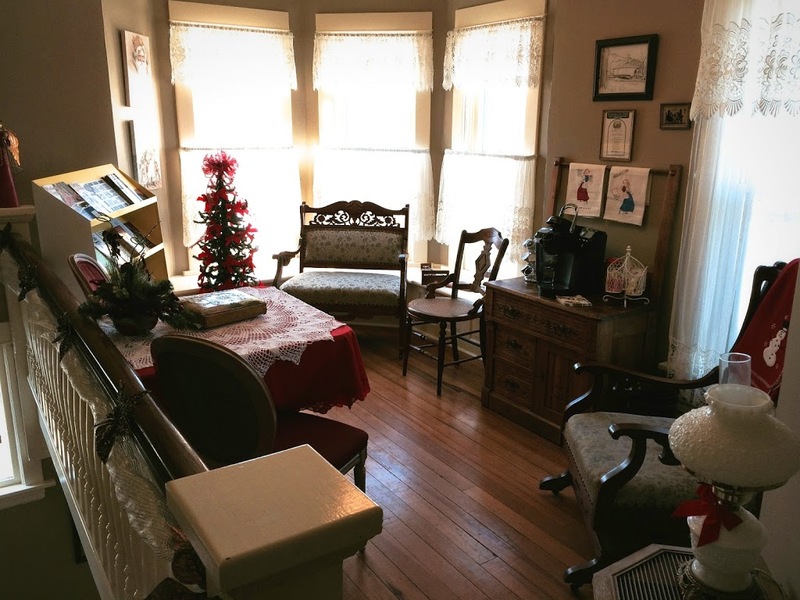 White Lions also teams up with the Madison County Historical Museum to offer groups a combination tour of both the B&B and the Bevington-Kaser Mansion, along with a luncheon, tea, or dessert. Although the piano looks as if it belongs in this space, it is new to White Lions in the last couple of weeks. 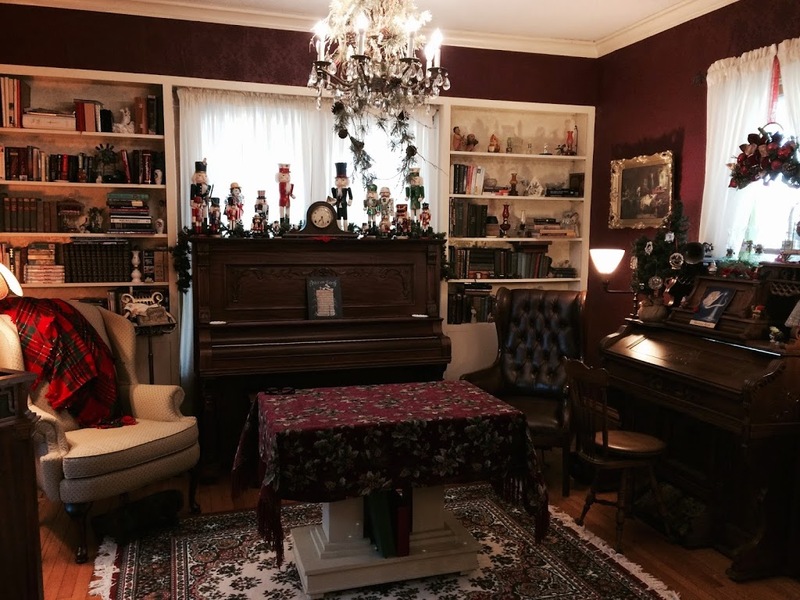 Interestingly, the children of State Senator Joseph Flatt, who lived in the house in the late 60s and early 70s, told Kayla that their mother had her organ and a piano positioned in exactly the same spots. 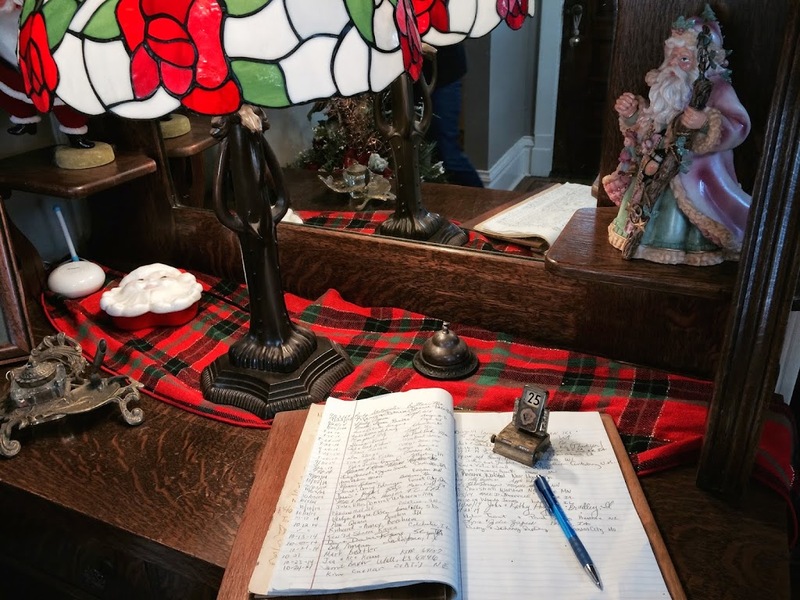 There you have it; five ideas from the first stop on our 12 Days of Shopping Local tour, White Lions Bed & Breakfast. See for yourself by calling Mark and Kayla Hawkins anytime at 462-5141, or stop by 722 W. Court Avenue to inquire. They’d love to visit with you. 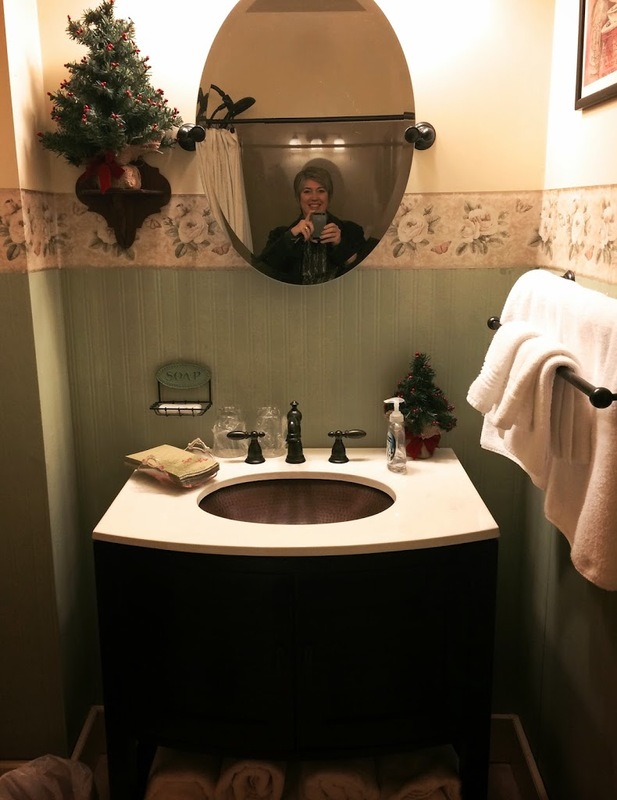 Don’t miss a post in the 12 Days series! Click here to subscribe to receive notifications of new posts of The Winterset Citizen by e-mail, and have a great Small Business Saturday.